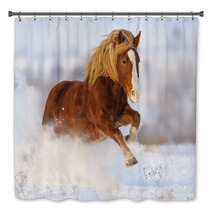 The Red Horse With Long Blond Mane Run Gallop In Winter Snow Field motif is on hand in a wide selection of decorative goods from wall murals, to pillows, to round rugs and custom size window curtains, and even baby bedding or custom size shower curtains. 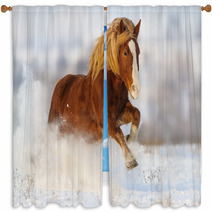 Entire Horse themed collections are available for your bedroom, bathroom and almost any room in your house. 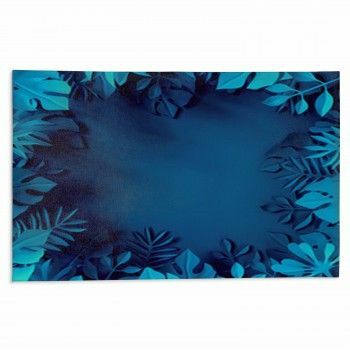 Have you thought about an area rug for your office? 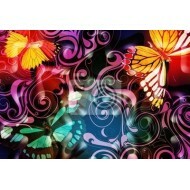 We can change the background color or any color within this pattern to ANY color you desire. 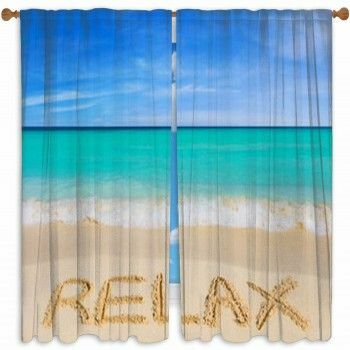 We can also digitally add personalized text anywhere within the pattern. Our custom choices are almost endless. 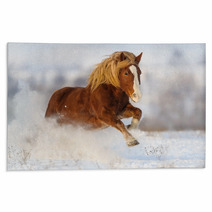 We can alter the accessory objects or the main object within this specific Red Horse With Long Blond Mane Run Gallop In Winter Snow Field pattern. You’ve been anticipating for the moment when you finally get to bring your infant home. In preparation for that special moment, you could be contemplating how to begin choosing the best bedding for your new baby. This is a popular inquiry for quite a few new parents! 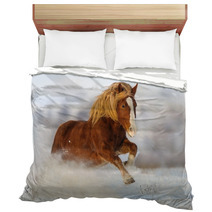 When thinking about bedding for your child, remember to first take into consideration the fabric. You will want the bedding to be as gentle as possible, as your little one’s skin is extremely delicate. You also shouldn’t get anything too cumbersome or your newborn could be uncomfortable under its mass. Next, determine which theme and style you wish to incorporate into the general layout of your infant’s room. Do you want forest themed elements? Perhaps you wish to have neutral and light shades. You can try out numerous tones and textiles to discover what alternatives you prefer. 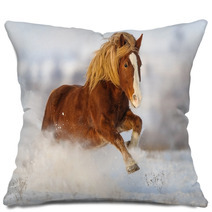 In the end, your infant will surely be pleased with soft bedding for their crib. And remember to take into account the width of the crib before choosing any covers. Buying a larger bedding set is a smart move, as it can move with your child as they grow up and move from a crib to a bed. 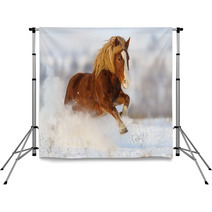 Some of the enjoyment of styling your own space is finding out what type of decor you admire. Set aside some time to explore various decor approaches to assist you with clearly defining what you desire for your space. Do you want clear-cut lines and steel accents? Or perhaps you prefer soft colors and floral accents? Delve into what’s out there before you start your decor project. I loved the blankets. They came out awesome and the pictures came out very clear. I would definitely recommend to friends and family! Awesome product, great design! Excellent customer service and communication. 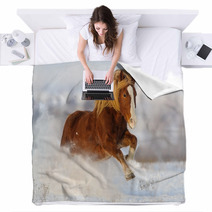 It looked so good that I ordered a comforter with the same design. 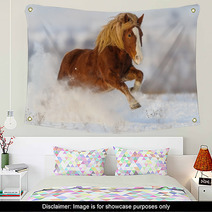 Comforter was very thick and well made!